Advertising careers often involve developing persuasive advertisements and researching a target audience to create product messaging. Psychology graduates are a good fit for just about any advertising career as the science of persuasion and research are major topics of this undergraduate major. A career counselor your goal is to help career oriented students and job seekers discover their potential. Working as a career counselor you'll assist people perform self assessments, find careers, make career changes or in vocational rehabilitiation. Not only is being a career counselor fulfilling, psychology graduates are uniquely qualified to help individuals in the career discovery process - since some much of career discoverly involves self discovery. Case managers, also referred to as social and human service assistants, provide advice and counseling to people in difficult situations. They help develop treatment and recovery plans, identify service providers, monitor client progress, and coordinate with other health and human service providers. Not only should case managers have a compassionate heart, they need to be critical thinkers and understand human nature and behavior. Individuals who complete a bachelor's degree in psychology are well qualified to excel as case managers. Earning a degree in psychology allows graduates to work directly in psychology by becoming a partial care worker in a mental health setting such as child care. Childcare workers work in daycare, after-school programs and other child care settings. Pursuing a career as a laboratory assistant is a great way to put a bachelor's degree in psychology to good use. Laboratory assistants are heavily involved in research and experimental psychology, two subjects covered in my undergraduate psychology programs. Psychology lab assistants often work in government agencies, university psychology programs, and private sector business that studies human behavior. Earning a bachelor's degree in psychology is great preparation for a career as a market reseacher. Psychology students are well versed in statistical analysis and scientific methodologies - useful skills when it comes to performing research tasks including collecting and analyzing data, conducting interviews and performing opinion polls. While an undergraduate degree in psychology does not qualify graduates for a career as a psychologist, it does prepare them to work in the field of mental health and human services. A few job positions available to undergraduate psychology majors include mental health technician, social work assistant and psychiatric technician. Psychology majors are also well qualified to pursue careers in criminal justice. In fact, psychology graduates are well suited for careers as probation and parole officers. Probation and parole officers supervise and work with individuals convicted of crimes. They monitor convicts, track behaviors, coordinate with other professionals or therapists, and make recommendations to the courts. Rehabilitation specialists assist people struggling with physical and mental disabilities reintegrate into society, become self sufficient and live on their own. While this position often requires a master's degree, a bachelor's degree in psychology is also adequate preparation for this career. Not surprisingly, many psychology undergrads find successful careers in sales. A bachelor's degree in psychology helps students acquire a variety of interpersonal communication skills that uniquely qualify them for both sales and marketing positions. Prospective employers like the fact that many psychology graduates are well spoken and are able to communicate effectively. They also have a good understanding of human behavior, which is an essential quality of top sales representatives. Social service is a hot spot for psychology graduates seeking career opportunities. Professionals with a bachelor's degree in psychology can find jobs in various social service sectors including non-profit organizations and government agencies. Those who pursue a career in social service provide community support, direct client counseling and various case management services. Earning a bachelor's degree in psychology and a teaching certificate is a great combination for becoming a teacher. Psychology undergraduates can find jobs teaching at elementary schools, middle schools or high schools. They may teach various subject matters, including psychology. Completing a bachelor's degree in psychology typically requires a lot of writing. In fact, psychology is one of the most writing intensive majors next to English. Psychology graduates are well prepared for a number of writing careers including technical writer, newspaper reporter, and advertising copywriters. There is a common misconception floating around in our collective consciousness. It states that a bachelor's degree in psychology by itself is practically useless; a bachelor's degree in psychology is only useful as a prerequisite for a master's or doctorate degree in psychology. This simply isn't true. It is correct that a bachelor's degree in psychology can be a great stepping stone toward a graduate degree, but it can be applied to several other career paths than psychology. In fact, it's estimated that 40% of psychology majors go on to study at law school or business school. However, a bachelor's degree in psychology can certainly carry some value of its own. Bachelor's degrees in psychology are versatile. They can be applied to a large number of disciplines, and students with bachelor's degrees in psychology go on to work in a variety of professions. The most common occupations which employ individuals with these particular degrees include: upper- and middle-management/administration, sales, social work, labor-relations, real estate, insurance, and marketing. Undergraduate psychology degrees can certainly be useful in unrelated fields, but if you hope to become a licensed psychologist, you'll need to pursue a graduate degree in psychology (a Ph.D or Psy.D). As far as undergraduate degrees go, psychology is one of the most commonly pursued options at colleges and universities worldwide, which is why job opportunities for those with only a bachelor's degree are more limited within the field of psychology. In fact, less than 25% of those with a bachelor's degree in psychology find jobs related to their major. Despite this competitive job market, there are ways to optimize your degree's potential, as well as your own employability. As you work your way through your degree, consider which classes will provide useful skills which you can use to market yourself to employers. Any classes which strengthen your understanding of human behavior and decision-making, your writing and communication skills, and your organizational skills will be of particular value further down the road. Once you graduate, seek out those jobs who need employees with your particular skill set. These skills will include: writing skills, critical thinking, one-on-one and small group communication, knowledge regarding individual and group behavior, and creative thinking. Understandably, students are concerned about the competitive job market in the field of psychology, and are wondering how the job market will develop in the years to come. The U.S. Department of Labor estimates that job prospects for psychologists will grow at an average rate over the next ten years, driven largely by the need for psychological services in mental health centers, hospitals, schools, social service agencies, and private business. 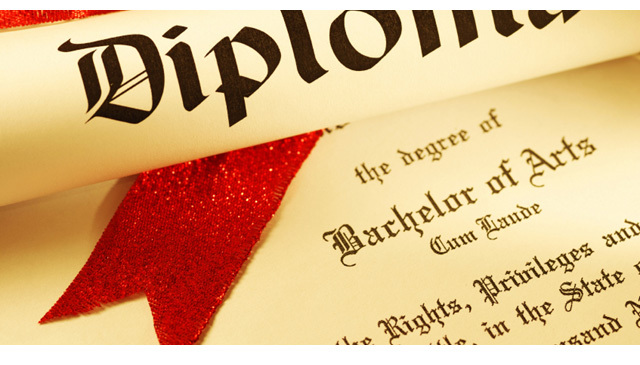 Individuals who hold a doctorate degree will be at a significant advantage when searching for jobs. Individuals who hold bachelor's degree in psychology will be able to work as assistants in rehabilitation centers, or in other occupations related to data collection and analysis. A bachelor's degree, along with a state certification, can also lead to a career as a high school psychology teacher.